Busy schedules of people are keeping them occupied which is making it difficult for them to stay updated with the TV shows of their choice. To help in keeping people entertained, services like video on demand are revolutionizing the television industry. A lot of people today have started watching their favorite TV shows online. Due to this, the demand for VOD is increasing at a rapid pace. Whether a video is good or bad, people still prefer to watch it rather than reading a text or viewing an image. Video streaming platforms like Netflix, Amazon Prime Video are making huge money. 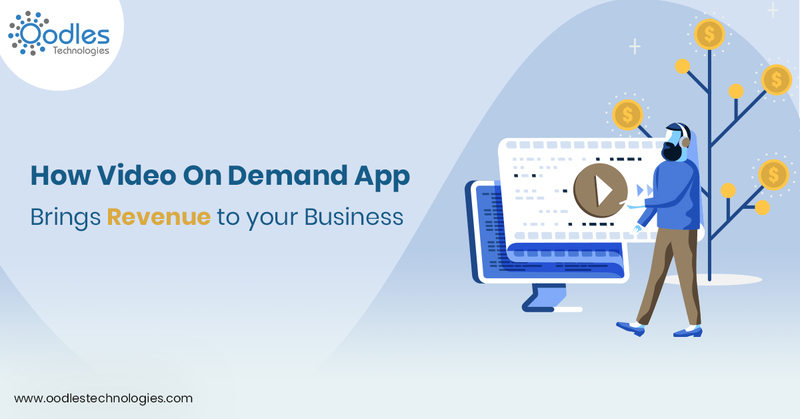 Let’s dig in further and know how Video On Demand App Development brings revenue to your business.